The Vice Chancellor of Queen’s University Belfast, Patrick Johnston, was today criticised after the cancellation of an academic symposium on the fallout from the Charlie Hebdo murders. The symposium: Understanding Charlie: New perspectives on contemporary citizenship after Charlie Hebdo, was due to be hosted in June by QUB’s Institute for Collaborative Research in the Humanities. But delegates, including Oxford University philosopher Brian Klug were informed via email on Monday (20 April) that the event would not go ahead. Doctor Klug said this morning he is “baffled” and “dismayed” by the decision. “I don't understand either of his concerns. The second - the reputation of the university - strikes me as ironic, as his action does not exactly reflect well on Queens,” he told Little Atoms via email. Jason Walsh, Ireland correspondent for the Christian Science Monitor and a philosophy doctoral candidate at University College Dublin was due to present a paper at the symposium. He told Little Atoms: "Given recent events it seems to me you'd have a better chance of a free debate in an empty room than a university. Recent no-platformings, for instance, at universities in England give the impression that almost no-one at a university will stand up and say anything of consequence. In this particular case the organisers acted in good faith but were shut down by the bureaucracy; in other cases we see students themselves in high moral dudgeon demanding events are cancelled." Index on Censorship Chief Executive Jodie Ginsberg commented: "If all public discussion on important issues is shut down because of security fears then the terrorists have won. Free speech - including the free exchange of ideas - is vital for democracy and universities in particular should be the torch bearers for free expression." Eleven members of staff at France's Charlie Hebdo magazine were shot dead by brothers Saïd and Chérif Kouachi in January 2015. The attackers claimed the murders were an act of vengance after the magazin had repeatedly published cartoons satirising the prophet Muhammad. The killings, and the subsequent "Je Suis Charlie" movement, sparked debate about identity and offence in France and across the world. 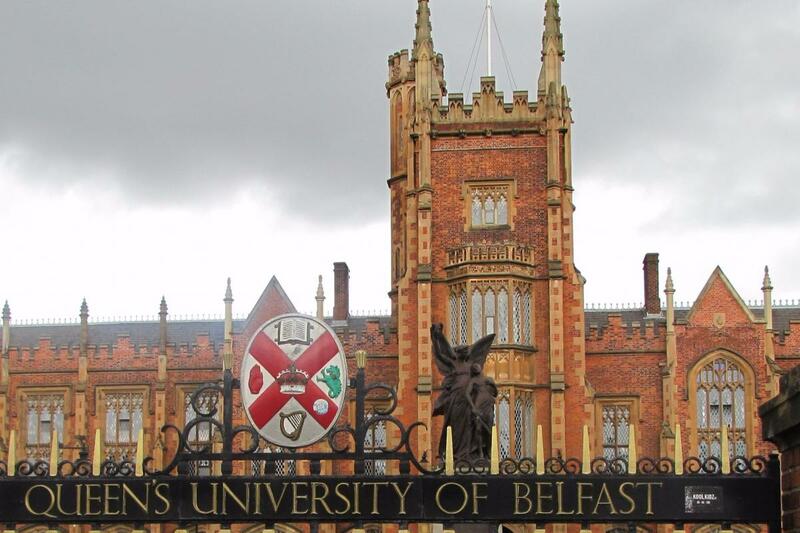 Little Atoms has made repeated attempts to acquire a statement from Queen's University Belfast on this story, but the institution is yet to comment. We will update as soon as we receive a reply. The university has been informed of publication. Update 6:55pm 21/04/2015: We understand that Queen's is refusing to talk to the press. Update 7:03pm 21/04/2015: A spokesperson for QUB has called Little Atoms to confirm that the symposium will not go ahead, and that the university will make no further comment.